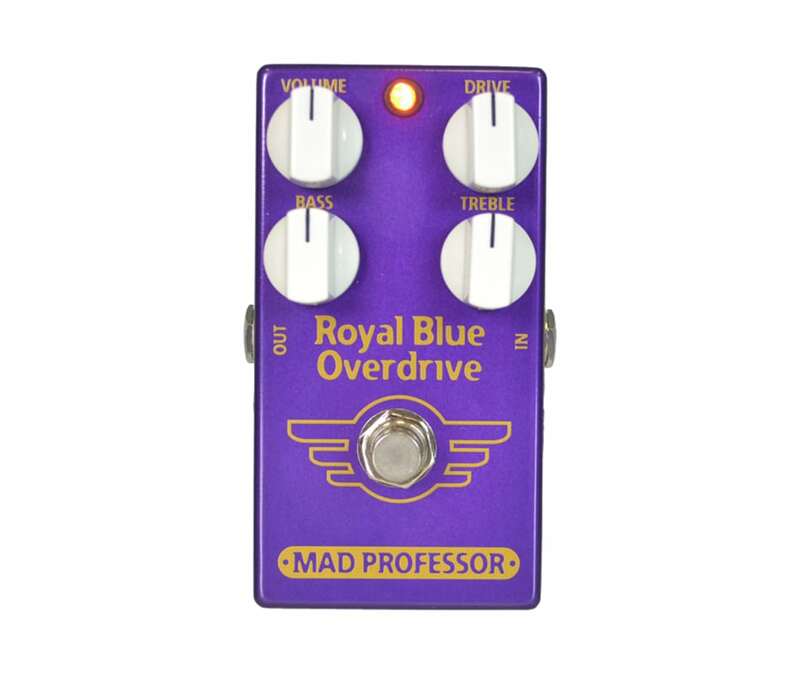 Mad Professor Royal Blue Tranparent Overdrive Pedal Open Box Mint! It offers wide range of tones from light overdrive into distortion and at lowest Distortion knob setting works as an EQ. It can also be used to create tube amp-like crunchy strike hard for distortion effect. There is not much filtering on the overdrive, to provide transparent tone that you can tailor with both the Treble and Bass controls. DISTORTION: controls distortion, for most dynamic response set where the amount of distortion is controllable with picking force.